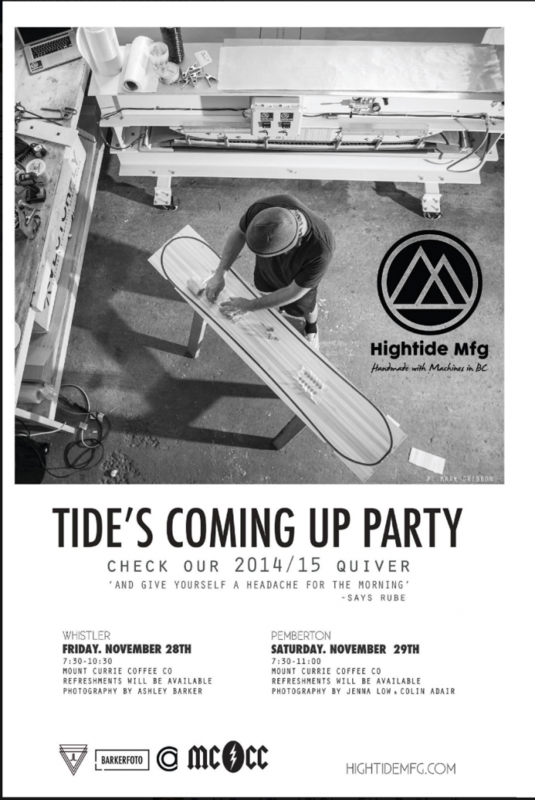 You’re invited to the Hightide Mfg. Launch Party this Friday at Mount Currie Coffee Co. in Whistler and then on Saturday at our Pemberton Cafe. Come have a drink with us, check out some inspiring Winter photography from Ashley Barker, Jenna Low and Colin Adair and see the new amazing boards built right here intended to be ridden in our back yard!